Whether natural or man-made, disasters can destroy vast assets, lives and memories in a matter of seconds, or can be protracted and impact over time. Disasters can be incredibly complex events that can quickly set developmental gains back decades in a country or region. I learnt this the hard way, as I and the people in my hometown of Tacloban City were hit by Super Typhoon Haiyan in 2013. That super storm was above and beyond what we prepared for and our decisions and resources back then were insufficient, not timely, and ultimately cost many lives. That storm served as an eye-opener to the world that sustainable development and disaster risk reduction are in their interest – protecting the environment, managing exposure to risk, and efficient utilizing resources. A majority of the efforts now in Tacloban City and other neighboring towns in the Region have been directed towards improving the quality of disaster preparedness and response measures, strengthening the capacity of the villages to prepare and mitigate their risks and enhancing resilience education. All have been made possible and continues to prosper with the efforts of people from different walks of life. People from the government, international communities, artists, children, youth, musicians, mothers and the like. Maria Julie Anne T. Culibar or Jen as her family and friends would call her has been in the humanitarian and development sector for almost four years. 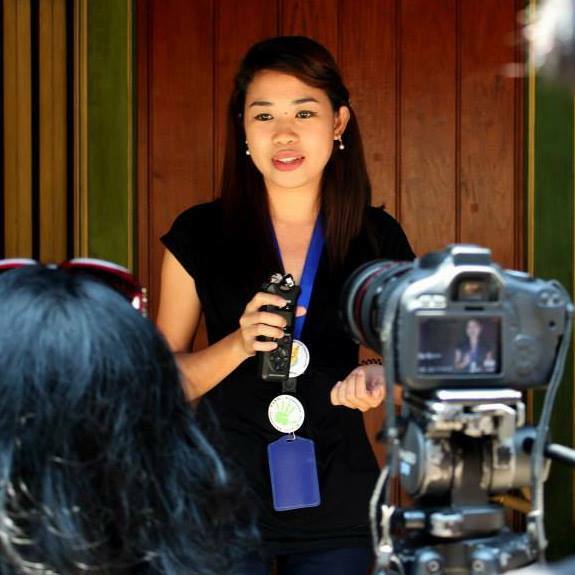 She designs and implements programs to strengthen community and school-based disaster management systems in Leyte. She is one of the co-founders of Disaster Education through Experiential Learning (DEEL) Project. She is also an advocate for the environment and youth empowerment. Reads. Draws and travels.